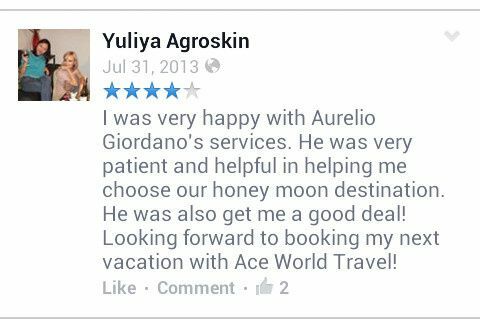 When it comes to handling any special trip, especially one like a destination wedding or honeymoon, you want to work with someone who care about you and your occasion and looking to upsell you or treat you just like a client. 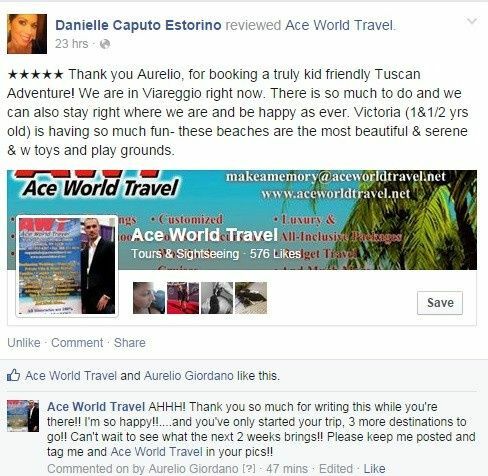 Our goal is to help you explore the world however you desire, and make that experience as unique and memorable as possible. 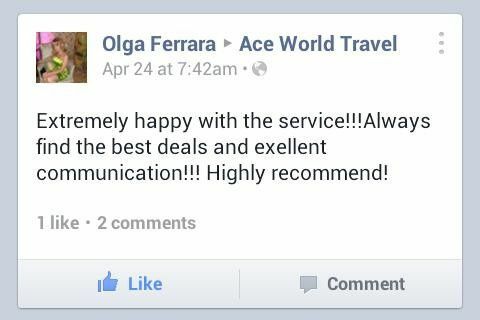 Our dedicated 1-on-1 customer service ensures that all of your personal travel needs are not only heard, but met to the best of our capability. 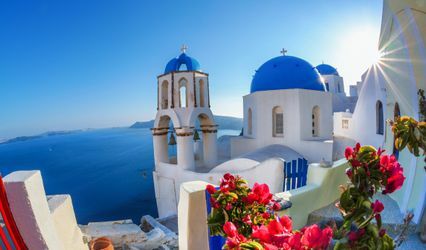 Whatever your travel plans, from the most simple to complex…..We’d love the opportunity to help you create a wonderful travel experience and will work diligently to get the best possible value for your travels. 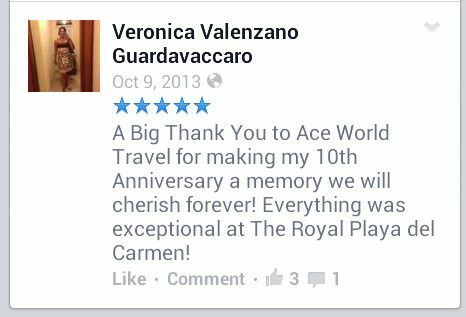 Contact Ace World Travel and begin making your next memory today! 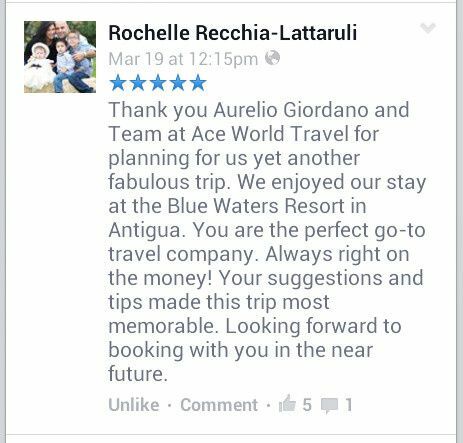 We could not be happier with the outstanding, romantic Honeymoon getaway that Aurelio and Ace World Travel put together for us! His recommendation for us to stay at the Santa Barbara Beach & Golf Resort in Curacao was RIGHT on the money! 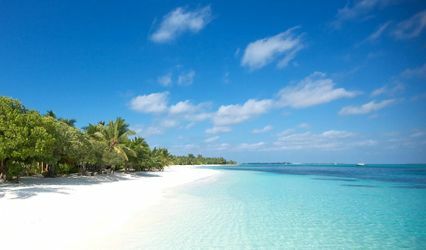 We were able to relax in our suite overlooking the water, take advantage of the Atabei Spa, fish on a private charter, golf and SUNSET golf the beautiful course at Santa Barbara, snorkel the incredible reefs of Curacao, and enjoy fine dining every night at the most incredible restaurant "Shore" with our all-inclusive arrangement. 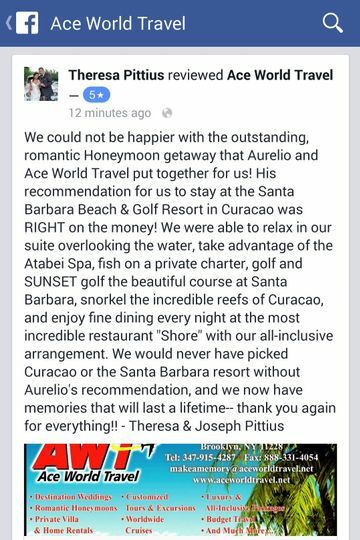 We would never have picked Curacao or the Santa Barbara Resort without Aurelio's recommendation, and we now have memories that will last a lifetime-- thank you again for everything! !